WWE’s biggest pay-per-view of the year, WrestleMania, is mere 3 weeks away. This year, the MetLife Stadium of New Jersey will play the host to WWE’s grandest event. It is being rumored that 17 matches will feature on the match card of WrestleMania 35 and it makes sense to have these many matches as there are 10 champions on the main roster. All the champions deserve to have a WrestleMania match. Besides the championship matches, there are two Battle Royals which allow the jobbers and lower mid-card superstars to make it to the WrestleMania card. WWE also books multiple non-title matches at WrestleMania. They have already announced 4 non-title matches for WrestleMania 35, which takes the total to 16 (10 title matches + 2 battle royals). So, there will be one more non-title match that WWE will add and here are the top 3 candidates for that slot. A majority of the WWE Universe believes that these two tag teams will challenge the Boss 'n' Hug Connection for the Women's Tag Team Championship in a triple threat match but I feel that WWE will have the IIconics fight for the belts at the Grandest Stage. The female tag team division lacks star power, and the division is also very thin. There are not many options available with the Creative team to book amazing feuds. Thus, they brought Beth Phoenix back and shifted the Queen of Harts to the tag team division. Vince McMahon would create a feel good moment at WrestleMania 35 where the reunited Divas of Doom will conquer the Samoan Slaughterhouse. 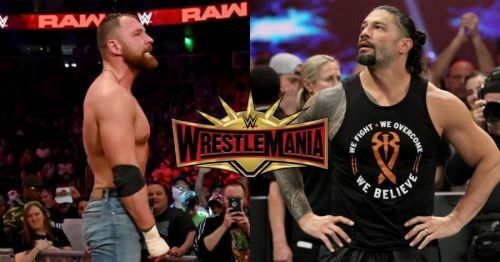 This match has the highest probability of making it to the WrestleMania card as WWE commenced its build on the Fastlane show.